*On select units. See Leasing Consultant for details. Ft. Washington Manor provides the proximity of DC and the National Harbor, at a value that cannot be beaten. Our thoughtfully designed one and two bedroom homes are stylish and comfortable. We offer our residents central heating and air, wall to wall carpeting, fully equipped kitchens with dishwasher and garbage disposals, walk-in closets, complimentary window treatments, and a patio or balcony. Our one and two bedroom apartments are not only spacious and full of amenities but best of all, they are affordable. Our community offers controlled access, and elevator access to each floor. Discover senior Apartment Living At Its Best and secure your new home today! Quality affordable living exclusively designed for the active 62+ adult. Contact us today for more information on our rates & leasing. 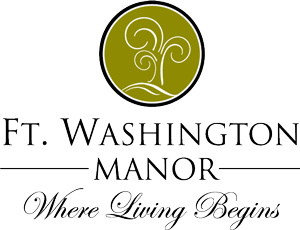 Fort Washington Manor is also close to National Harbor and MGM Grand and Tanger Outlet. You could live just a short drive to great shopping, dining and entertainment options. Would you like to have easy access to all Maryland, Washington, D.C., and Virginia has to offer?